¿What was the contribution that Enrique Luque Carulla left as a legacy to marketing in Colombia? The authoress of the present article proposes an answer to this question based in her qualitative research supported by testimonies and file analysis registered in audio-visual media and articles published before Luque’s death. This man is presented as an executive who impacted his managerial, trade-union, consultancy and academic activities on marketing. His ideological expression, practices, and conduct of interaction with various political, economic, social and cultural environments characterized by their own value and beliefs systems allowed him to develop and influence the macro-environment in Colombia. The paper also exposes what the authoress defines as the basis of his marketing philosophy, as well as the respective resultant achievements. 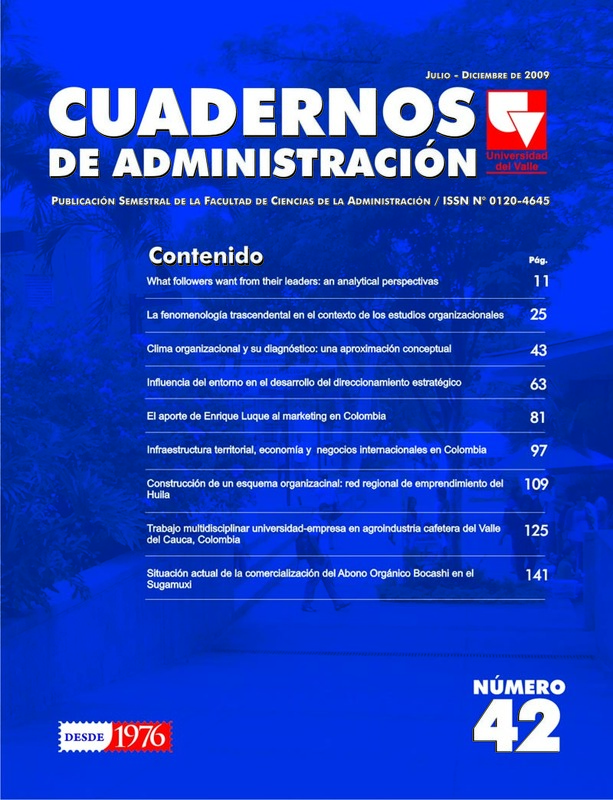 The principal conclusion of the investigation appears that for Luque Carulla, marketing is not an activity, but a managerial philosophy and that on having inculcated it among his university students, subordinates, partners and businessmen, it formed the legacy that was left to Colombian society. Finally, it is expected to serve as a pedagogic resource for teaching courses in management,entrepreneurship and marketing.